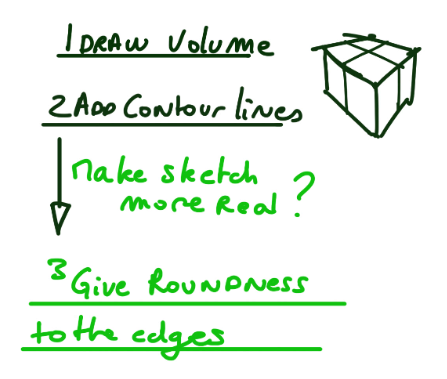 TIP 141 How to make your sketches more real ? 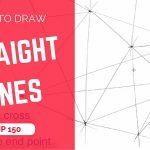 When you start learning how to sketch, you study and practice basic rules drawing line of perpective, line of geometry and simple shapes such as square, circles… and so on. We are going to see something that will change your daily habit when you draw. At the end of the video you will know how to make you simple shape become more real. In other words, how you will transform a geometric shape to an object. 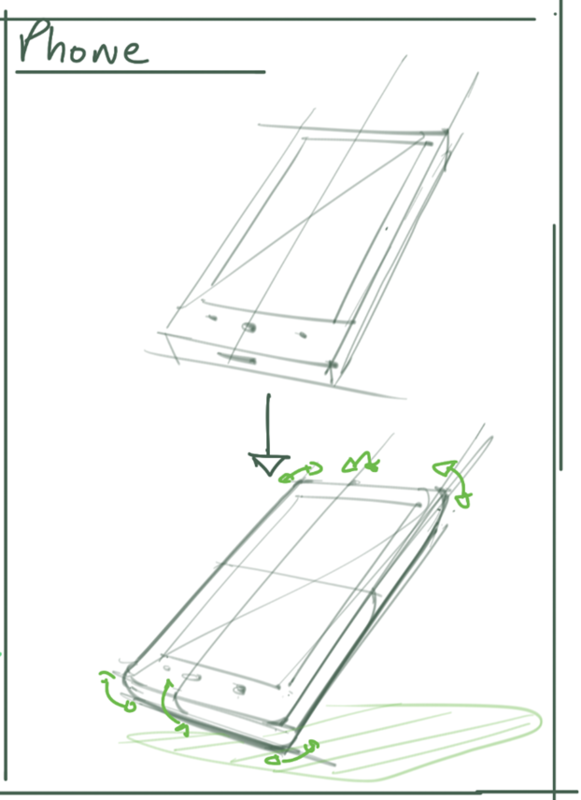 At the end of the video, you will see a small demo about a flat box becoming a touch screen phone. 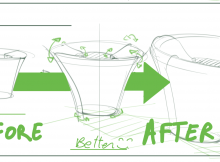 3 steps Recipe to draw from geometric shape to a more realistic object. Same logic here. Can you feel the difference ? 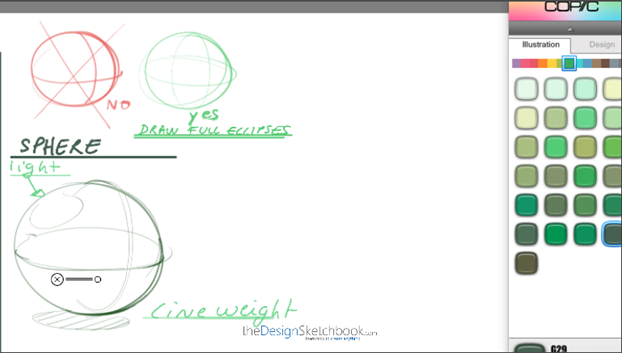 Reminder: Draw the full ellipses for the sphere contour line. Or your sphere may appear flat. 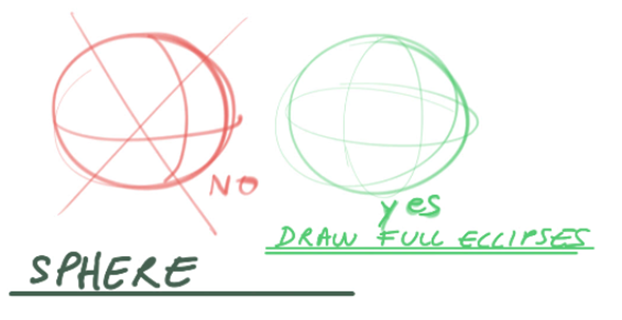 For the sphere, it’s already all rounded. So how to add more rounded edges ?? You simply can’t. But we can play with a bit of lighting and the contour lines. I bold a bit the edges of the contour lines, especially below the “ball”. Make sure your contour lines goes inside the hole to understand it. 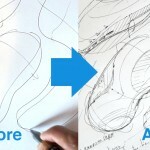 Play with your angle of contour lines to decide of the roundess. From a flat box to a phone. – You don’t have to be perfect in your drawing. Make sure your perspective is fine and that your main shape is there. Then, everything will be alright. That’s all for today ! Pretty easy right ? So now it’s the time to take a pen and practice ! Let me know about your sketches in the comments, or let me a question if you have any. Thanks. Great tips Chou. 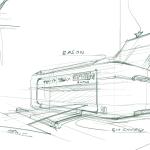 You should consider offering a design sketching course through Skillshare or Udemy as well. Thanks Azhar. I appreciate and take note of these 2 websites. If you are client of these services, do you mind exchange with me your feedback about them by email ? I am actually preparing something more complete, fun and educative. Thank you.